Today I have something VERY special. With the sudden, mysterious death of her father, Samantha discovers her life isn’t what it seems. Not only isn’t she the normal teenage girl she thought she was, Sam must now take her father’s place in the fight between two groups of fallen angels, the Faithful and the Exiled, in a race to save humanity. In addition to dealing with a devastating betrayal—and having feelings for someone she’s forbidden to love—Sam must also fight the growing darkness within her as she struggles to make a choice between fighting alongside the Faithful or succumbing to the temptation of the Exiled. Both sides require sacrifices Sam isn’t sure she can make. 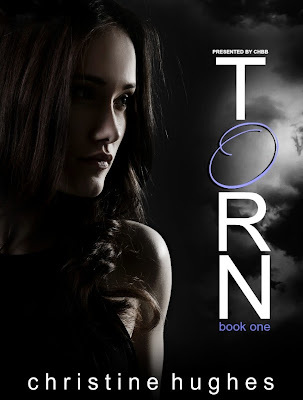 “Torn” by Christine Hughes is a great paranormal read for young adults. Samantha English lives with two boys her age who are there to protect her in the absence of her father. Soon Samantha learns that her family has some paranormal roots and although now on the side of the good they used to be on the side of evil, making her a target for the evil forces as well as a potentially unreliable alliance partner. While Samantha comes to terms with this new knowledge she is being trained to control her powers and on to of this she falls for one of her protectors. This is a very enjoyable action packed novel with deep and interesting characters who are ‘torn’ between the two sides. The narrative begins with a sequence of Samantha’s father, creating extra interest by giving us a hint of what will come back later in the story.Hughes brings unusual depth to her story and does well in her portrayal of the torn nature of her protagonists. The romance part is also very convincingly done and as far as the paranormal parts are concerned the situation is more complex than I have described (so as not to spoil the experience for you). To me paranormal and young adult novels are a hit and miss, but this book was a definite hit for me.